Home > Affiliate Marketing > Moscow Affiliate Conference: new wave! Moscow Affiliate Conference: new wave! During the two years of Moscow Affiliate Conference existence, the audience of the affiliate industry fell in love with it, because the conference brings the perfect combination of business and entertainment parts: the traditional pre-party, exclusive reports with working cases and, of course, the Grand after-party! Companies and participants from all over Russia and the CIS, as well as Europe, the USA, Asia and Latin America come to the capital of Russia. Moscow has become a traditional meeting place of the affiliate marketing guru every spring and autumn – everyone who wants to see the MAС show knows that in March and September it is necessary to make a plan-to visit the conference. “Why should we organize a conference in Moscow, if we can expand the geography! And not next year, but right now!”- with such thoughts it was decided to bring MAC to Kiev this autumn! October 3, 2018, Kiev, the capital of Ukraine, will open its doors to ALL Mas fans. The scale of the Moscow conference, and, of course, so beloved charm of Leadbit Events: individual approach, the best support and a lot of unexpected and pleasant surprises! 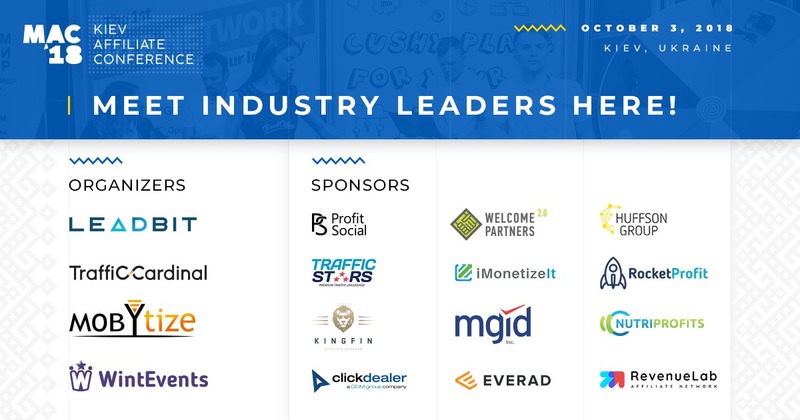 The conference is organized with the support and participation of Leadbit – a well – known international CPA – network with a huge number of offers around the world, Mobytize – CPA network with direct offers for both mobile and desktop traffic, Traffic Cardinal – organizer of meetups for affiliates in Russia and all over the world and all your favorite WintEvents-international event Agency, widely known in the field of IT. The event will be held at one of the best venues in Kiev – in the Congress and exhibition center “Parkovy”. There were held shows like the Ukrainian Fashion Week and Mercedes Fashion Days, BMW, Porsche presented their new car models, on the helicopter platform there were concerts by Steve Aoki and Ivan Dorn, also “Parkovy” became the official location of the Eurovision 2017 competition. Exquisite design, ergonomic space, spacious halls – now this is all for MAC friends! The full list of participating companies, agenda and some unexpected pleasant additions will be ready soon. MAC Kiev announcements can be found on the conference website and in social media publications from partner companies. Tickets are available on the website in your account. Hurry up and buy before the price increase! 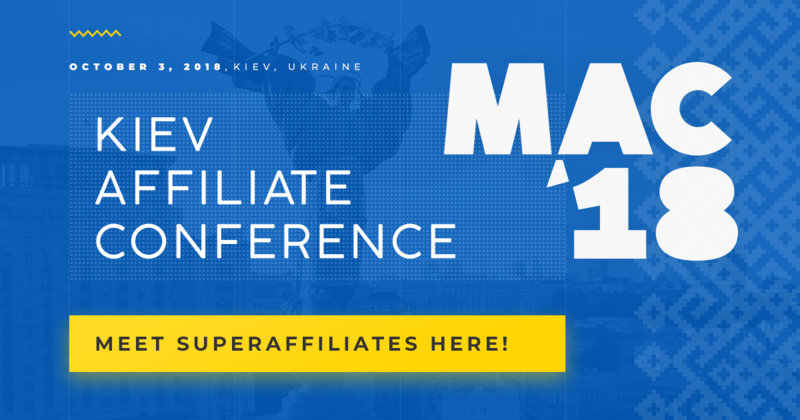 Get ready to meet MAC in Ukraine – it’s not just another conference in the next city – it’s the sensational Moscow Affiliate Conference, now Kiev Edition!